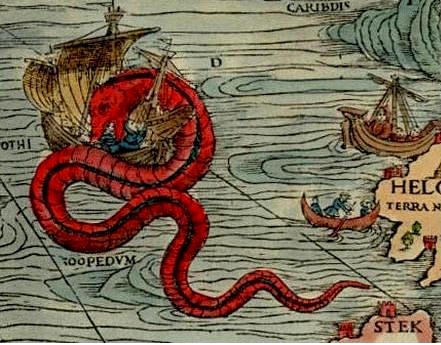 Evidence of larger sea creatures that more accurately match the Bible’s description (Job 41) of Leviathan. Now you should feel bad for making fun of the olde-worlde map makers who knew these creatures were out there! New evidence that Dinosaurs are nowhere near as old as evolution keeps clinging to. And a cute little snake.